Isn’t it funny how what we used to despise as kids, we now yearn for as adults? Brussels sprouts, strong cheese, and asparagus- the sound of which, all make my taste buds tingle and my glands salivate. 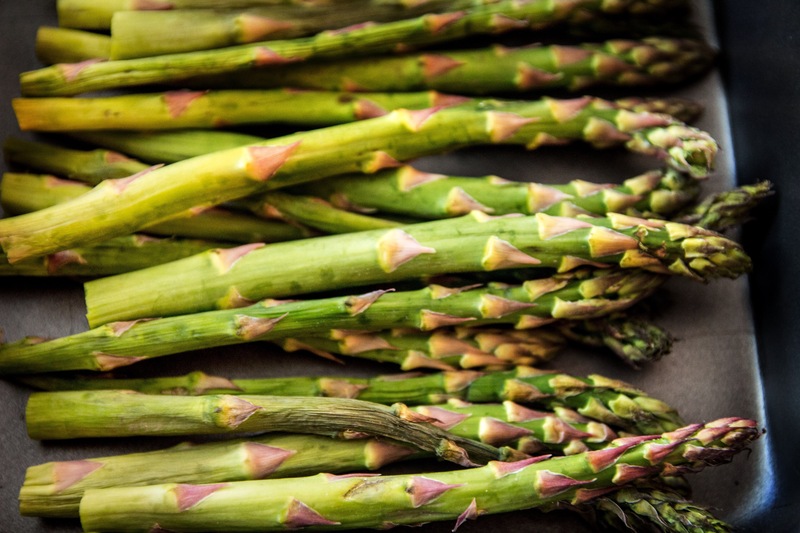 There’s a reason why asparagus is touted as the food of kings. There’s nothing more delicious or satisfying as that first crunch- and then the second, third, fourth and before you know it, you’re left with an empty plate. 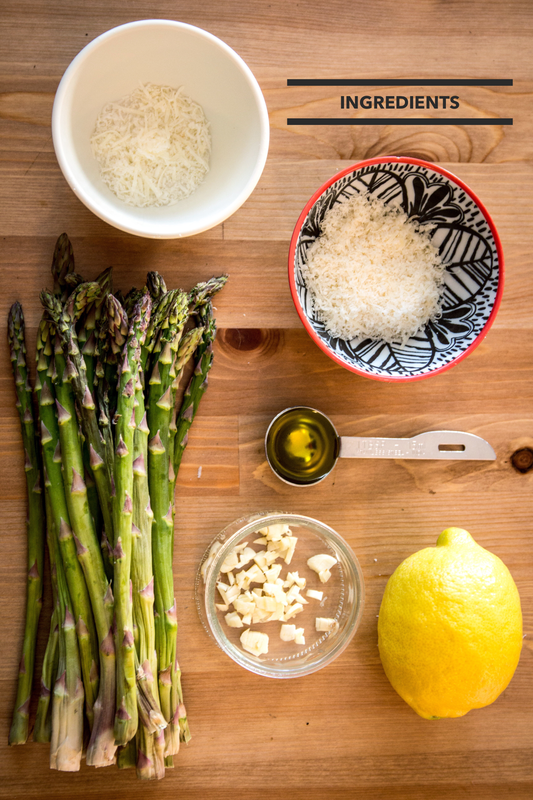 Follow along below to see how I like to make my asparagus! To be perfectly honest, whenever I’m making a recipe from another cookbook or blog, I almost always double or triple the mount of garlic that is asked for. When I developed this recipe, I felt a little silly and hypocritical for calling for one measly clove. One really is all you need for this but by all means, don’t let me tell you how to live your life. Add two or three cloves in. Live on the wild side. A rule I live by in cooking is that if it doesn’t taste good, throw in a whack load of cheese and taste again. I love using the audience-favourite and my staple cheese- Parmesan – for this. But by adding a more bolder tasting Romano to the mix, I really elevated this dish. However, please feel free to omit this if you don’t have it on hand. Finally, a dash of lemon was the perfect addition to balance all the flavours. Cut off the bottom inch of your asparagus bunch. Arrange them in a single layer on a baking tray. 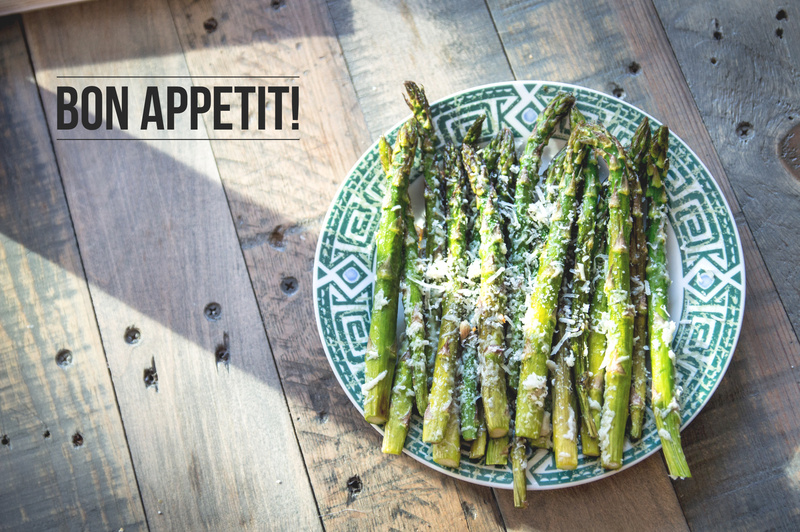 Drizzle the olive oil onto asparagus and sprinkle with salt and garlic. 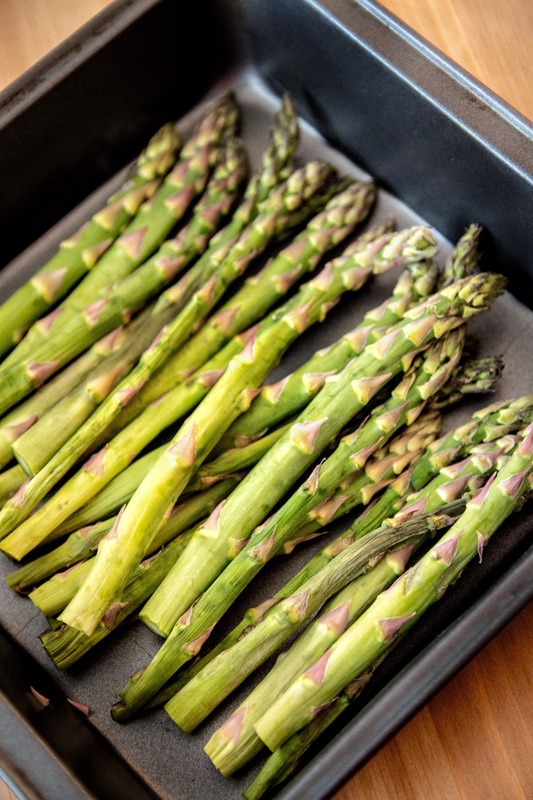 Roll the asparagus directly in the tray to evenly coat asparagus. Bake for 8-10 minutes. Remove from oven, and sprinkle generously with Romano and Parmesan cheese. Bake for 2 more minutes. 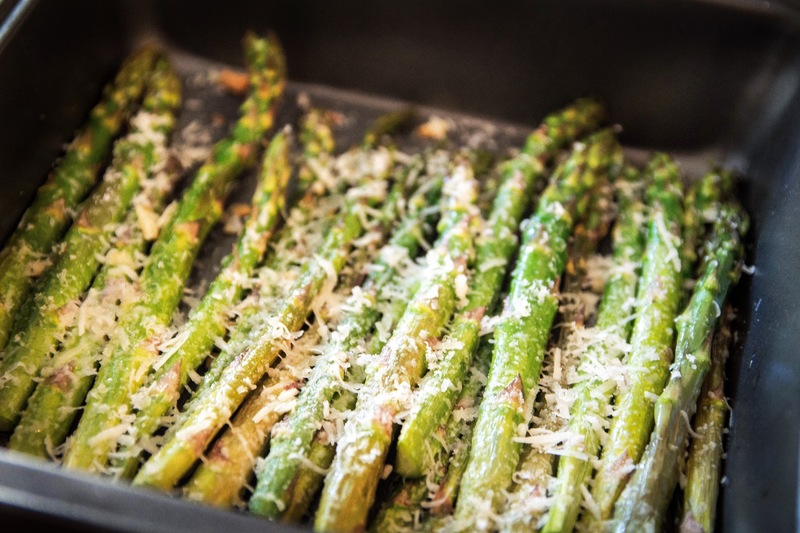 Remove from oven and squeeze lemon over the asparagus. Finish with one last sprinkling of cheese (if you dare). I really like how you sprinkle the asparagus with the cheeses. 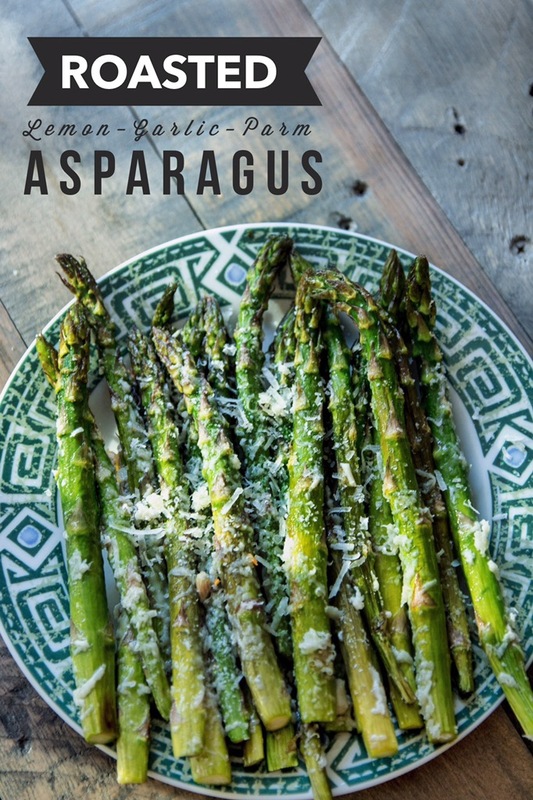 It is a nice twist on how to prepare asparagus, makes a lovely presentation, and sounds tasty. It may not be the healthiest option, but it’s ever so delicious. Thanks for stopping by! Extra garlic is always a good thing. This looks delicious and it’s so simple! Extra garlic and extra cheese is never a bad idea. I have a habit of doubling, sometimes tripling, the amount of garlic called for in a recipe. Thanks for stopping by! I haven’t been able to pair it with anything because I swallow them up the moment they’re ready, but your basil & lemon chicken sounds amazing!